Have you ever wondered how store owners are handling their merchandise with such an ease? This is because they believe in amalgamating a simple yet powerful tool called stock manager PHP script into their e-commerce business. By using this script you can have a lot more transparency in your business activities as you will have statistics about sales, expenses, profit/loss and a lot more at your fingertips. And by analyzing this information, you can easily take decisions based on these vital stats and create a forecast. In the following section, we are going to discuss some of the best stock manager PHP scripts that are genuinely tried and tested before presenting to you. 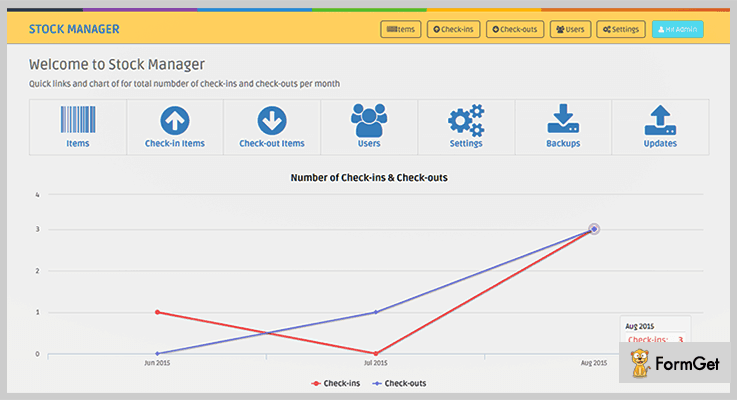 Some of the core features include charts & graphs depicting Latest expense, sales & incomes, out of stock products etc. You can also provide invoice status report which is very essential for any purchase. Also, alert to refill the stock will never let you go out of stock. Ready to explore these scripts in detail? Let us find out the features & cost estimation of these inventory scripts together. 1. Invoice Stock, Expense & Income Management. This script can be installed very easily as it comes with documentation & complete user guide. The dashboard gives a clear overview of sales, products etc. which helps to understand the overall stats related to total invoices, total expenses, & total income. The graphical report of expenses & income report helps to analyze & compare the previous and latest values. Other essential information that an admin will have – Latest expense, sales & incomes (where he can add new entries instantly), out of stock products, invoice status report, sales graph etc. 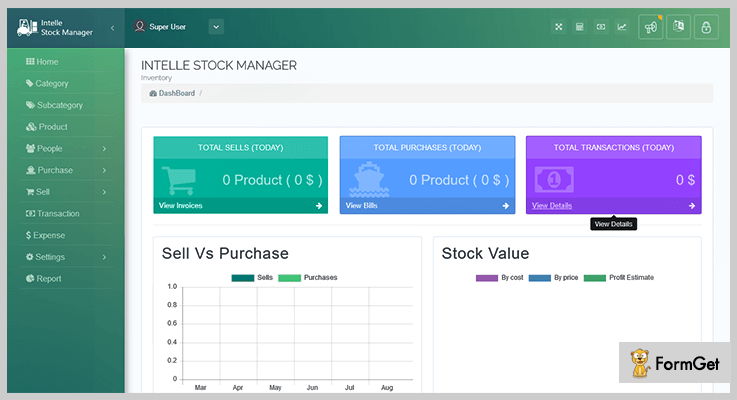 Admin can have an easy product management where he can add/delete the items and have a report on stats like product purchase price, sales price, quantity etc. The “required stock” report gives information about product name, quantity required, & calculated price for that quantity. Further, on adding or deleting the items in a stock, an updated report is generated that gives details about product type, quantity, date & a text note. The user can set up a limit for a minimum item in the stock. Based on that limit, he will get an alert to refill the stock. This PHP based web application helps to manage your stock with much ease. You can not only manage the products of multiple categories and have a backup for the records, but also make updations according to the added/removed items with a single click. The web-based inventory management tool is a bliss for small business firms with the low budget because of its affordable price. And here is the best part, you can install it via localhost to use in offline mode anywhere from office, home, warehouse etc. Admin can switch the language settings from English to Spanish with a click directly from the dashboard. You can easily import the stock report in CSV, Excel, PDF format or copy it straight away. The report will have information in the following column order – product code, category, alert quantity, image, unit etc. The separate check-in & check-out lists help to classify the suppliers & customers along with their reference number, date, time & other details. Further, you can add an entry of a customer/supplier manually and import a CSV file multiple customers/suppliers lists. Also, you can easily print barcode and label of the products. One-time payable amount of $15 to use this script. 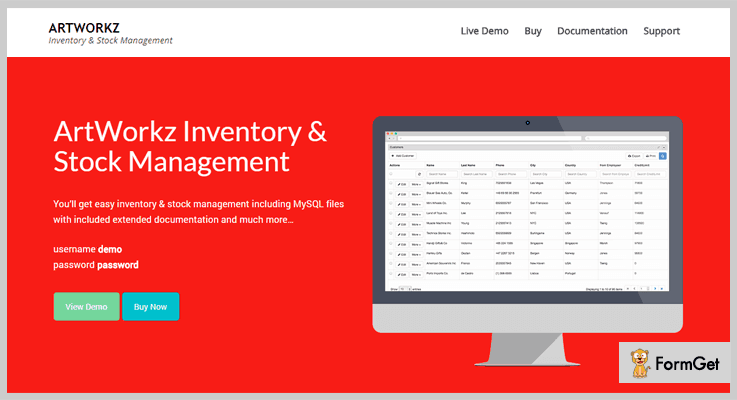 This is one of the best tools to manage inventory & stock. To start with, there are 9 language options provide – Arabic, Portuguese, Spanish, German, Japanese, French, Hindi & Bengali. Further, in the list, the menu will have various other features like locking the dashboard to secure the records, alert products list, cash status, today’s profit/loss of different categories & dashboard quick menu. In addition to stock details, you can also have detailed reports about purchase, sales, category, branch and a lot more. Besides configuring other settings, admin can easily add/edit invoice VAT rate to the goods supplied. Customers can avail the partial payment system for any good. Then there is an easy return option & product discount system to attract more buyers. The home page gives quick access to present day’s total sales, purchase & transaction stats. Plus sell vs purchase graph, hot products & profit graph & a pie chart about stock value. Further, the product index will define the quantity of a product in stock where admin can subsequently take actions like editing (product/category name, code, unit etc. ), updating price, & deletion. Admin can manage profiles of wholesale customers, suppliers & users separately so that there will be a systematic information record about each of them. For instance, Customer’s detail like walk-in or online customers, total due, contact details, suppliers lists with their company name etc. The role permission system allows assigning roles to the employees for easy management like an owner, staff, sales agent etc. which can also be upgraded as per the requirement. Start using this script at just $33 where you also get 6 months support. To extend this support for 1 year, you just need to pay $10.50. 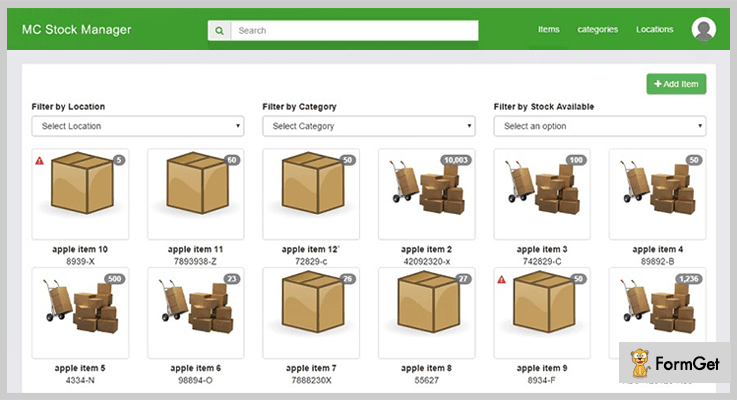 The quick search option allows filtering the products by location, category or available stock. Further, you can either display all the items available in the stock or only low stock items. Also, you can provide separate subdomains for each company which is having multiple users. And these subdomains are free on every server. This script comes with an attractive & responsive template. Admin can manage n number of company accounts that are associated with his business. He can also set the first password (as a dummy) and send it to the users via email so that they can log in to the account and start managing the stocks. There is a lot more access authority that an admin has, such as add/remove stock, check item history of transactions etc. It is absolutely compatible with almost every browser like IE10, IE11, Firefox, Chrome, Safari etc. Use this script with a one-time payable amount of $22. You can index, manage & track your inventory in a simple & secure way. The best advantage that you can have by using this script is, you can create inventory, stock, art management in a very short time. To enhance the layout, it comes with a materialize theme with a beautiful & elite design. Further to assist you in a hazzel free usage, it comes with complete documentation & a sample MySQL file. 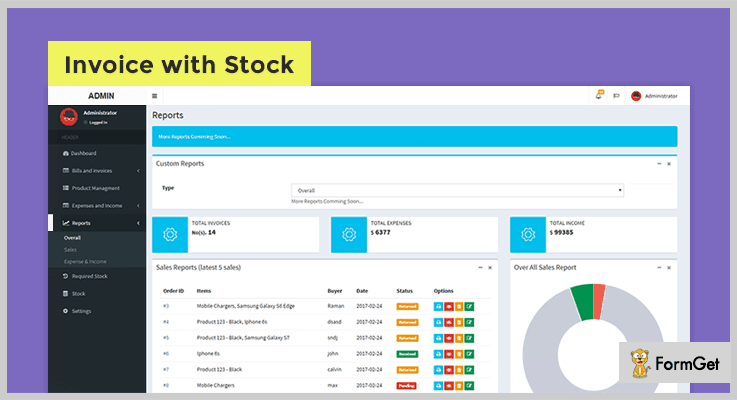 The user does not need to have to bother about handling multiple stocks & categories as this inventory management supports unlimited stocks, inventories, categories & users. It is multilingual & already translated into 2 languages. You can still translate the script in your preferred language. The script is coded with CodeIgniter & does not require any further configuration. Lastly, it is absolutely responsive on desktop/mobile/tablet screen. Get this amazing inventory script at $249 including 6 months support. You can extend the support to 1 year at $91.50 only. Since we have reached at the end of this blog now, I hope you must have understood how important it is to use these stock manager PHP script. Hence we have provided you some of the best scripts that will have you in the long run. For any query or suggestion, comment in the below section.